Ergo...my musings by Vivian: Celebrating Home Grown Tomatoes! I grew up in Indiana where the soil is black and rich and the tomatoes and cantaloupe are unequaled. 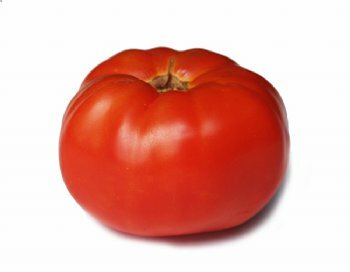 As far as I'm concerned, a hothouse tomato purchased at a grocery store is about as tasty as cardboard. once I moved to the country, one of my greatest pleasures became growing and harvesting tomatoes. We built raised beds and filled the beds with good topsoil which has been enriched with manure, 10-10-10- fertilizer, crushed eggshells and coffee grounds. 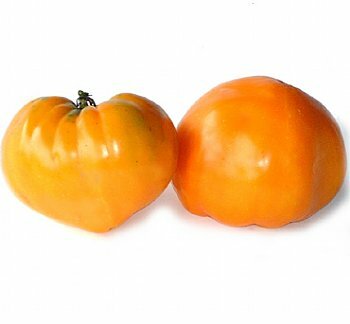 And I prefer the succulent flavors of heirloom varieties and a few select hybrids that have not had the taste bred out of them to make them more amenable to long haul transport. There are two of us. So, realistically speaking, planting 2-3 tomato varieties would more than likely suffice. However, I like variety and love the concept of sharing the fruit of these vines - so I generally grow at least a dozen different varieties of tomatoes. Every year I try different heirlooms. The best, by far, are offered by the Tasteful Garden. The website link is on this blog. For the last few years I've ordered their organic tomato plants and have been completely satisfied. The variety of offerings is amazing and customers rate the various tomatoes for taste. My parents always ask what we would like for Christmas. This year, my parental units gifted me with a selection of heirlooms from The Tasteful Garden. I am in tomato heaven. The best of the best, thus far, are the Azoychka (the yellow tomato at the top), and the Orange Strawberry that makes an unrivaled BLT. 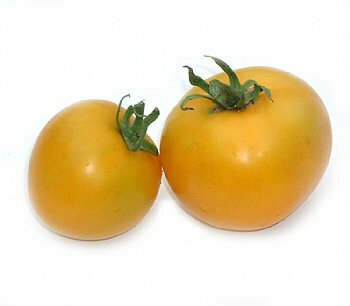 The Pineapple Tomato also make a great BLT and salad tomato. Actually, I love them all. But these are the selections I plan to order again next year. On a hot summers evening, nothing taste better to me than a lite dinner of a tomato salad with some Calamata olives, a sprinkle of feta, a few twists of fresh black pepper, a sprinkle of sea salt and a drizzle of fine Balsamic Vinegar from Modena. Sheer heaven to this doyenne of tomato fashion who must don elbow length goatskin gloves to even harvest these juicy fruits. Yes, I am allergic to the leaves of the tomato plant. But it is a small price to pay for such a delicious seasonal treat. And as of today, I have the prescription strength hydrocortisone cream needed to clear up the contact dermatitis caused by harvesting my treasures. Yum! Really, keep this place in business. The Tasteful Garden is a real gem!